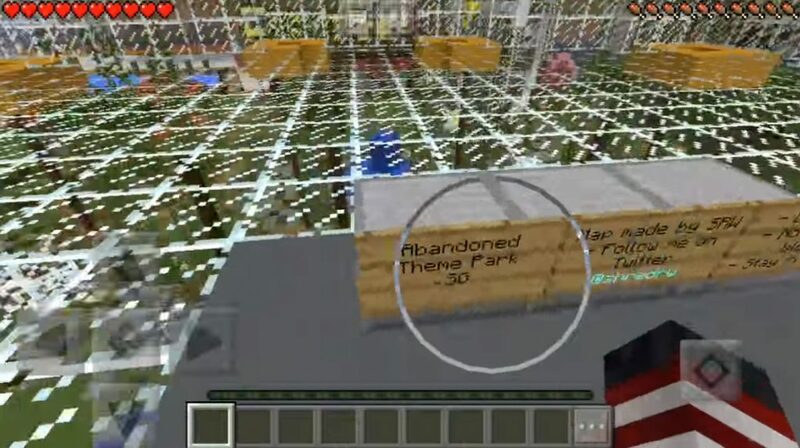 On the territory of the Abandoned Theme Park map for Minecraft PE, you will find an arena located in an old abandoned theme park. This area will quietly accommodate up to 12 players, who are waiting for just an exciting survival in an amazing environment. Games for survival in the world MCPE – one of the most popular PvP maps. Most likely, this is inspired by the movie “The Hunger Games”, where the heroes had to compete in the deadly game for survival. 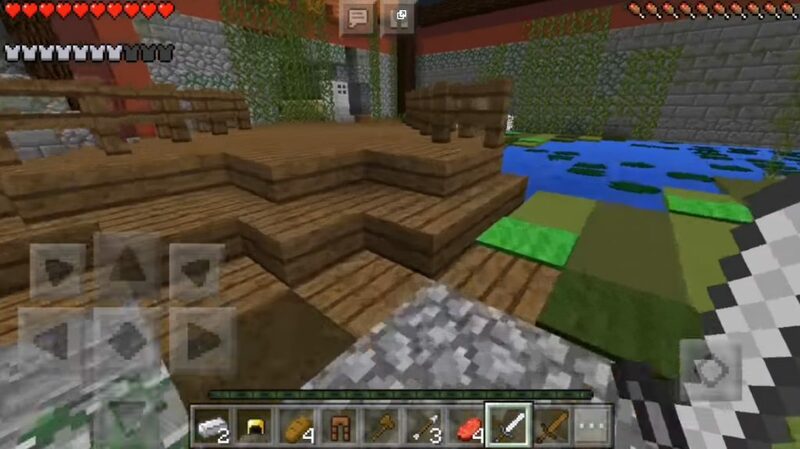 In general, if you want to test all your survival skills in Minecraft Pocket Edition, this map is perfect for you! For an exciting gameplay on the territory of this map is recommended to collect from 2 to 12 players in the world of Minecraft PE. Find the yellow platform, stand on the hatch and wait for everyone to join. Start the countdown from 10 and then open the hatch. After that, all the players will fall into some kind of web, and then your survival will begin! The rules are simple. Find a way to survive! You need to remain the last surviving man or woman. There are several chests scattered throughout the map. You can clear them of items. There is a large wall around this park that ensures that no player leaves the arena. You are not allowed to place any blocks or abuse glitches on the map in order to escape beyond its borders.